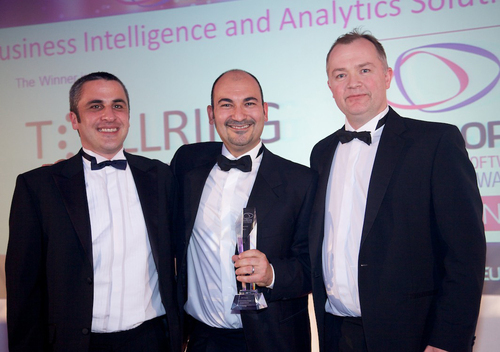 Tollring recently announced winner of their category at the prestigious IT Europa European IT & Software Excellence Awards 2013. Last week Tollring was delighted to be announced winner of the ISV category 'Business Intelligence & Analytics Solution of the Year' at the IT Europa European IT & Software Excellence Awards 2013. Their Steria case study demonstrated the capabilities of iC suite, a hosted business analytics tool.